As part of the third session in our go beyond art public art module we took students on a half day dérive in Sailortown. A dérive is an unplanned journey through a landscape (usually urban) in which participants drop their everyday relation and ‘let themselves be drawn by the attractions of the terrain and the encounters they find there’. 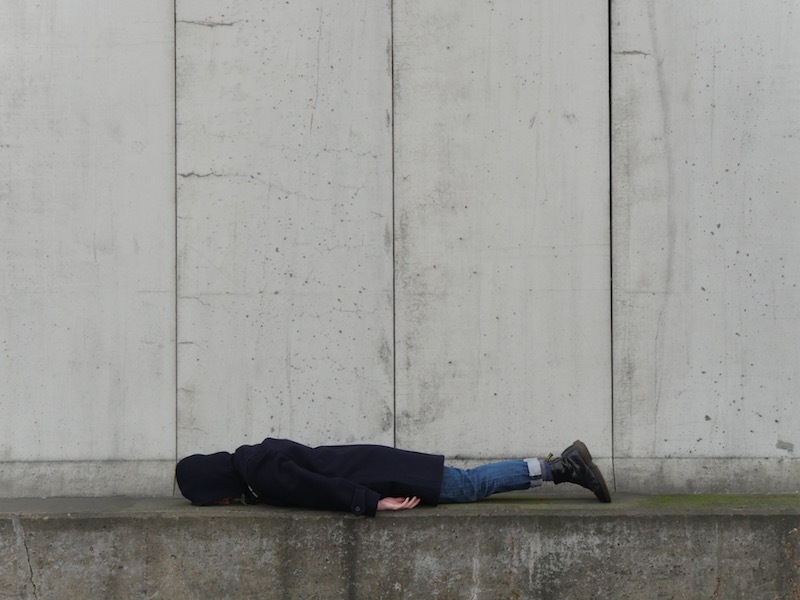 Using methods developed by The International Peripatetic Sculptors Society (IPSS), students responded to the area and created images and temporary interventions in the Sailortown landscape. Today, we met in Sailortown with our Ulster University student group for the second session of go beyond art, our public art module. We presented an overview of experimental local public art practices and Terry McKeown provided a brief history of Sailortown and the work of Sailortown Regeneration Group. Our presentations took place in the Mission to Seafarers building on Prince’s Street in Sailortown, and we finished the session with some quick exercises based on Erwin Wurm’s two-minute sculptures to prepare students for the next session: a dérive taking place across Sailortown. Today, we met students from Ulster University for the first time to provide an introduction to our go beyond art student module, an introduction to Household, and a brief history of the Situationists International and exemplary international public art practices. Our introduction included a short history of the Situations and examples of how such practices can provide new ways of resisting the status quo and freely interacting with public and urban spaces as well as being co-opted by market capitalism. The presentation on exemplary public art practices covered definitions of public art, different ways of showing artwork ‘in ‘public’ and included examples of work by artists such as Liam Gillick, Maddie Leach, Melanie Manchot, Susan Philipsz, lya Kabakov, Oscar Tuazon, Harrell Fletcher and Miranda July, Assemble, and Jeanne van Heeswijk, amongst others. Image: ‘Memorial to Loss: Freedom in a Carceral State. 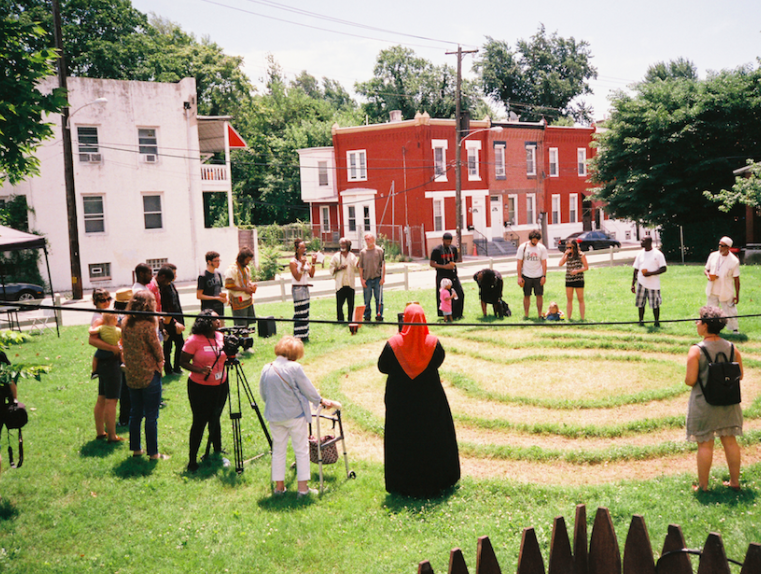 The program was the culmination of a series of planning meetings between AEA and Philadelphia Assembled (PHLA)’, Philadelphia Assembled, a long-term public art project by Jeanne van Heeswijk. 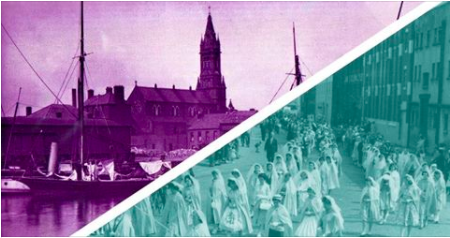 As part of BFI’s Coast-to-Coast programme, Household and The Sailortown Regeneration Group will temporarily reanimate St Joseph’s Church on Belfast Culture Night 2017. We will screen edited footage from the Northern Ireland Screen Digital Film Archive to provide a brief glimpse of Sailortown’s rich history in the derelict church which was once at the heart of the local community. St Joseph’s Church, located on Princes Dock Street, was closed by the Catholic Church in 2001, despite a parishioners’ campaign to keep it open. The building is now owned by the Sailortown Regeneration Group with plans to redevelop it as a culture, heritage and community venue to showcase the Sailortown area’s maritime and industrial history. The Sailortown Regeneration Group act as a community hub for the residents of Sailortown, North Belfast, from their campus on Garmoyle Street. 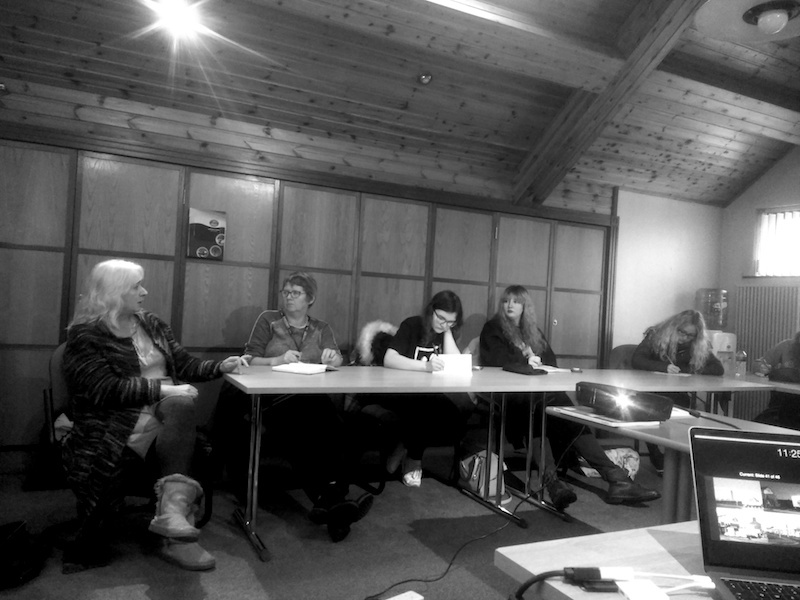 They regularly campaign on issues which affect Sailortown’s community and development. Coast-to-Coast is a major film culture and archive programme – part of the British Film Institute’s Britain on Film project – that aims to highlight selected treasures from regional and national archives. Uncover extraordinary treasures as the film and TV archives of the UK are opened up for the British public to enjoy. Including professional and amateur footage, the 1,000s of newly digitised film and TV titles paint a moving and intimate portrait of British life spanning 100 years. Everyone in the UK can search BFI Player for their personal histories, watch newly digitised films on DVDs and enjoy special Britain on Film screenings and events across the UK. Britain on Film is supported by Unlocking Film Heritage awarding funds from The National Lottery.